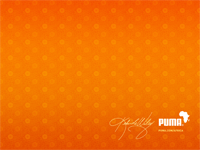 PUMA Africa includes a collaboration with New York artist Kehinde Wiley. 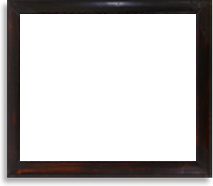 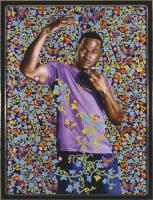 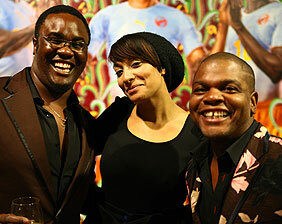 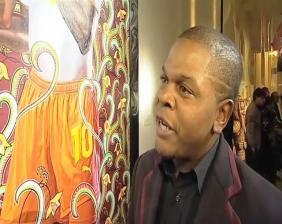 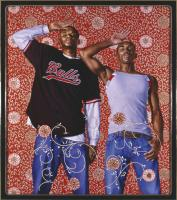 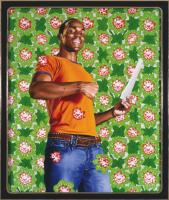 As one of the worldâ€™s most sought-after artists, Wileyâ€™s work stands apart - depicting contemporary African American men in poses taken from the annals of art history, while incorporating a distinctive use of elaborate, graphic and colorful wallpaper-like backgrounds. 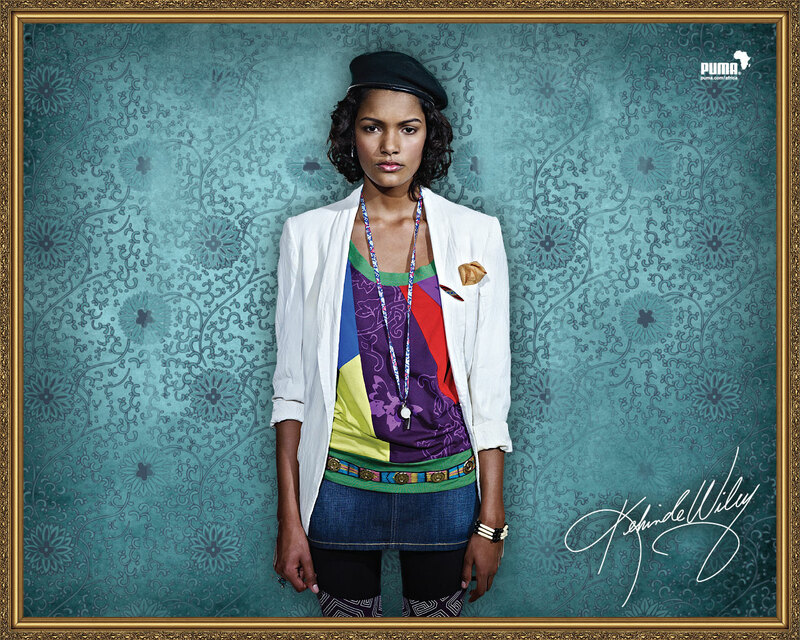 This vibrant new line is inspired by his work, The World Stage: Africa Lagos-Dakar, and features West African textile prints. 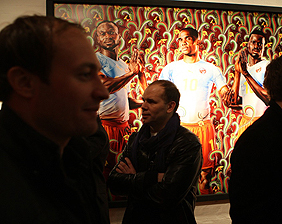 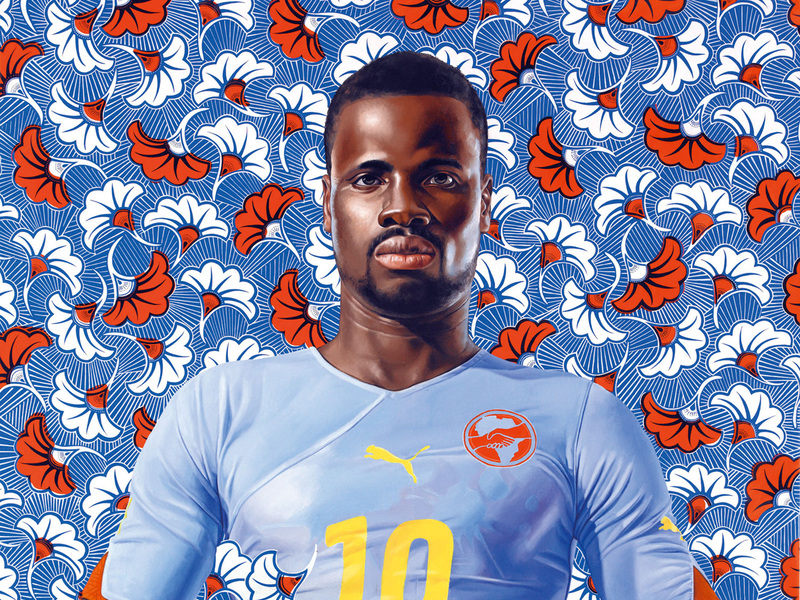 Kehinde has also been commissioned by PUMA to create four original portraits, featuring three of Africa's most decorated football players. 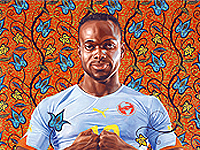 PUMA has partnered with Kehinde Wiley, one of the world's most sought-after urban artists, for the Spring Summer 2010 PUMA Africa lifestyle collection of apparel, footwear and accessories. 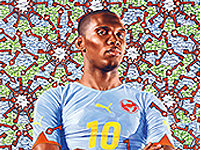 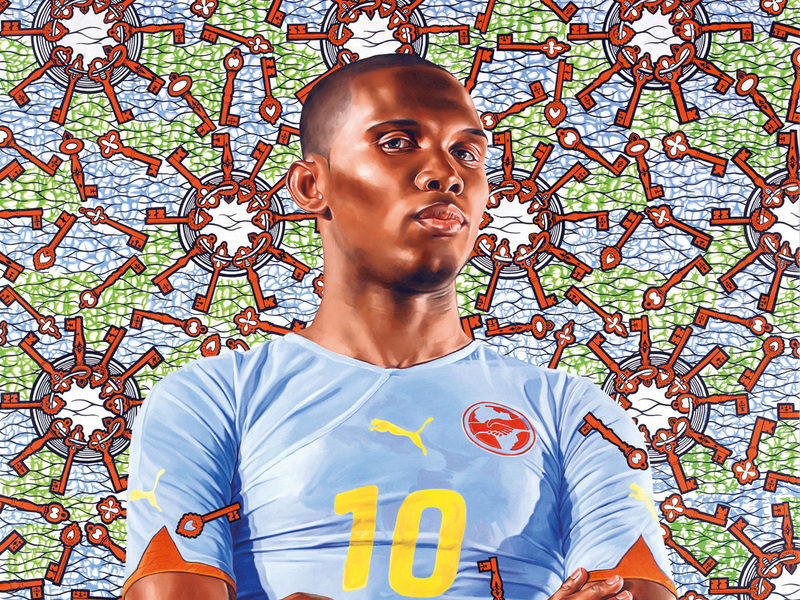 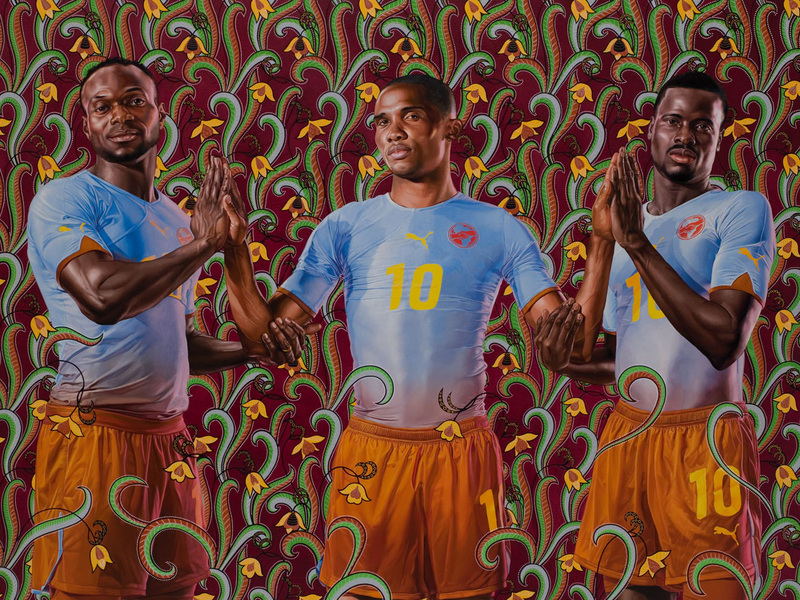 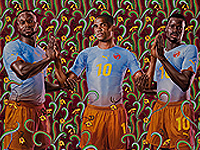 In preparation for the upcoming World Cupâ„¢ in South Africa, PUMA and Kehinde Wiley are travelling the globe with the collection and commissioned artwork in tow. 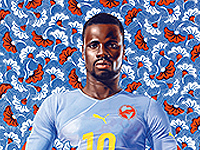 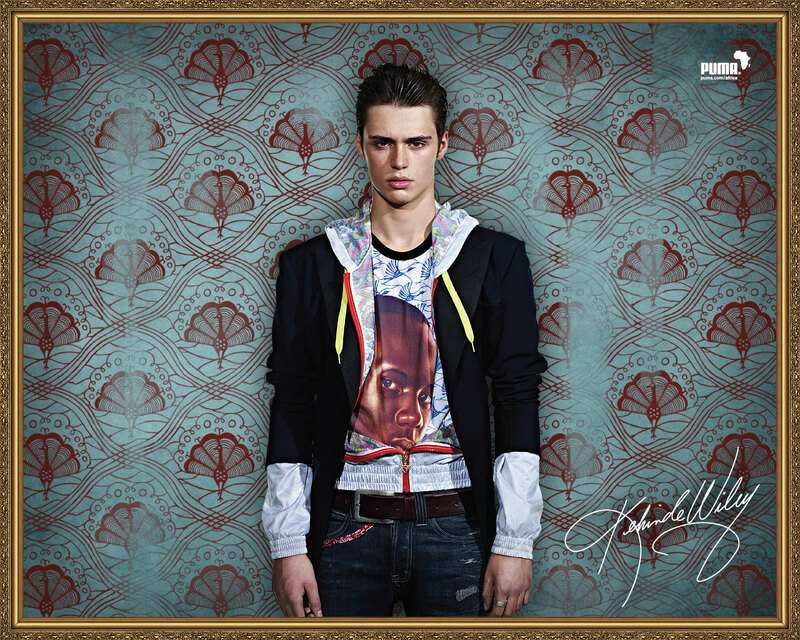 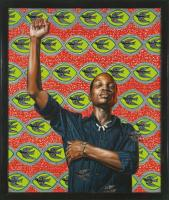 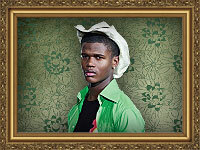 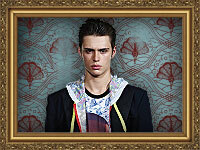 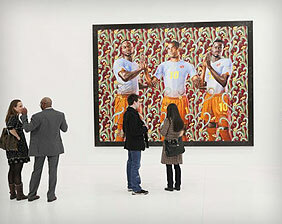 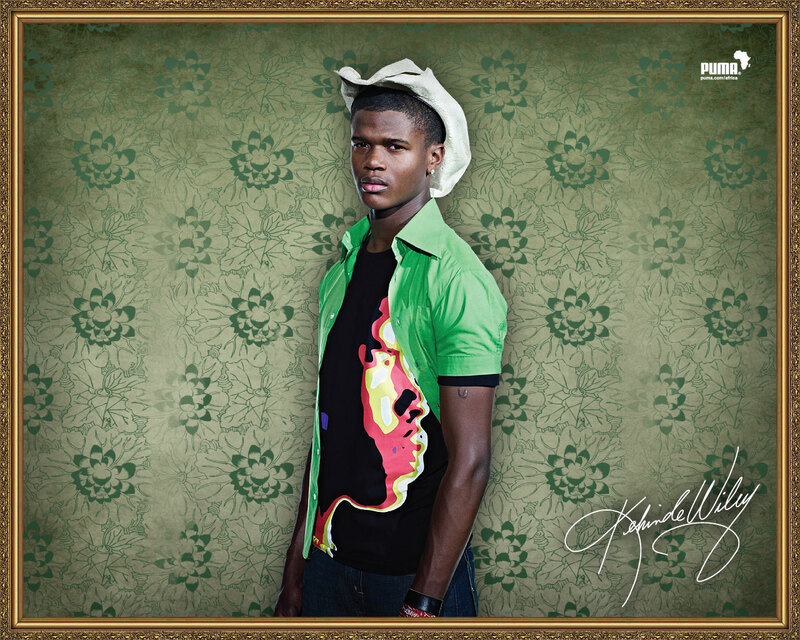 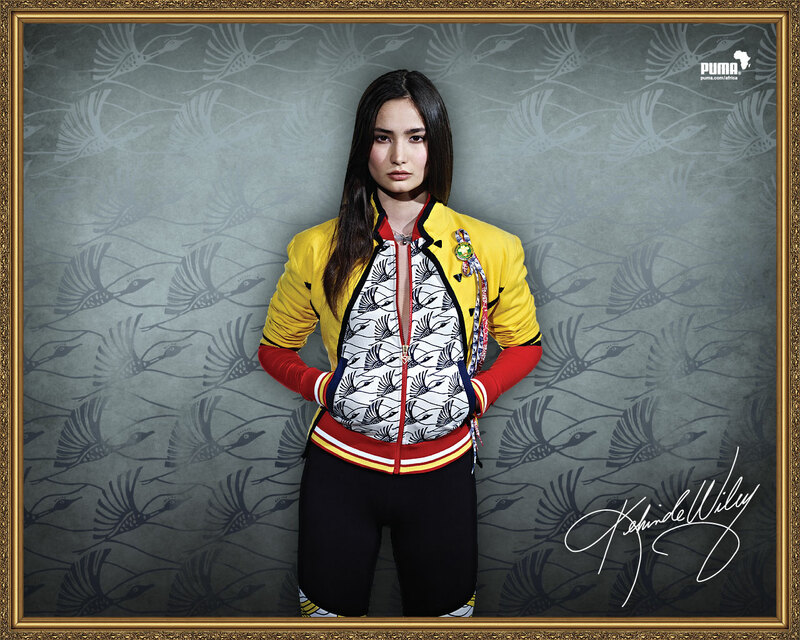 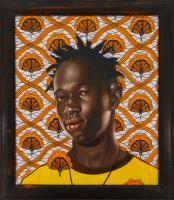 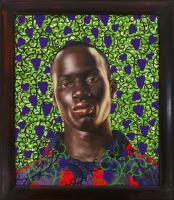 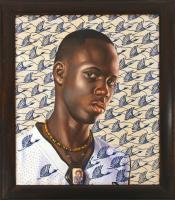 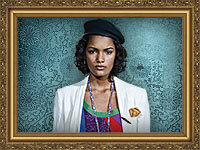 See the Kehinde Wiley original artwork in close proximity to the fashion that it inspired at The PUMA Italy Showroom.